If your familiar with my work you will already know I'm a big fan of the Erika Knight yarn collection. I love everything about it... it's UK Blue-faced Leicester, I love the brand ethos and the colour palette is very me! Hello Iced Gem, Pretty and Mrs Dalloway. 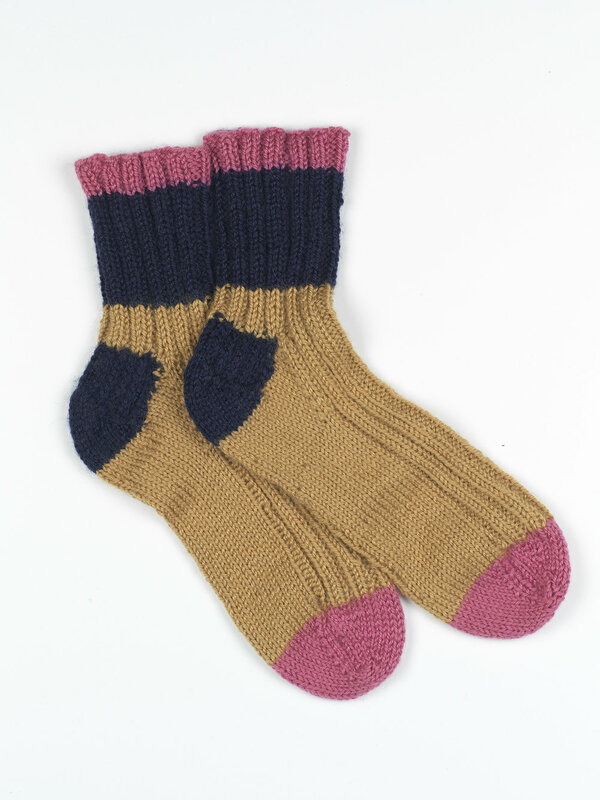 I received the new British Blue 100 from Erika a while back ready to design Molly and Miss Parry for the first British Blue 100 collection, it was love at first sight and I instantly felt the need to design socks! This is when the K3 sock collection was born, I swatched, I put pen to paper, I sent my ideas over to erika and then the project was brought to life. There really is nothing more satisfying than seeing a design go from paper to reality exactly as you envisaged it. The idea of the K3 collection is that you can buy 4 hanks of the British Blue 100 yarn with the poster pattern (which includes the written pattern for all 3 designs) and all 4 hanks will finish all 3 pairs of socks... think gifts, christmas is just around the corner or maybe... a treat for yourself! Maybe you having a friend who would love a pair of these for Christmas! A Daughter, Grand-daughter or even your Sister? You can also buy one hank and complete one pair of socks in just one shade if you wish too, the possibilities are endless. The colour way I put together (and love) is Mrs Dalloway, Ballet Russes, Cloak and Clarrisa. You can choose any four of your favourite shades from the British Blue 100 collection to personalise all three socks for yourself or for a loved one. Although I do think the most important question really is... Which pair are your favourite?